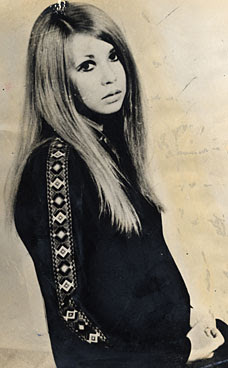 Now and then I am going to be sharing some articles about some strange coincidences that happened in Beatles-dom and I am going to start with one of my favorites, Melanie Coe. In 1963 Melanie Coe was 13 years old and was a dancer on the television show "Ready Steady Go!" She had been part of the show for about a year when on October 4, 1963 the Beatles appeared on the British program. Melanie participated in a lip sync contest. She and three other girls did their best dance and lip sync to Brenda Lee's song, "Let's Jump the Broomstick." The winner of the lip sync contest got a LP record. But more important than the prize was the judge of the contest. Paul McCartney was the person that chose the winner and he decided that Melanie did the best job (and when you watch the youtube of it, you will most likely agree). She came forward and received her prize and shook Paul's hand while he congratulated her. And Miss Coe was forgotten and should have just been a cute little moment in Beatles history. In 1967 Melanie was 17 years old and was a pregnant teenager. She was very scared and feared her mother would severely punish her. She ran off, not with the father of the child, but with another man and they hid away for three weeks until Melanie's parents found them and made her return home and terminate the pregnancy. As Melanie explained in 2008, "As a 17-year-old I had everything money could buy - diamonds, furs, a car - but my father and mother never once told me they loved me." Paul McCartney was reading the Daily Mail in February of 1967 and read a story about the run-away Melanie and how her parents were looking for her. The story in the paper gave Paul the idea to write "She's Leaving Home." The song is fiction, but the line about how the parents gave her everything money could buy came right from the article. Did Paul know that the runaway girl in the newspaper article was the same girl that won a lip sync contest that he judged over 3 years earlier? I would guess he didn't. 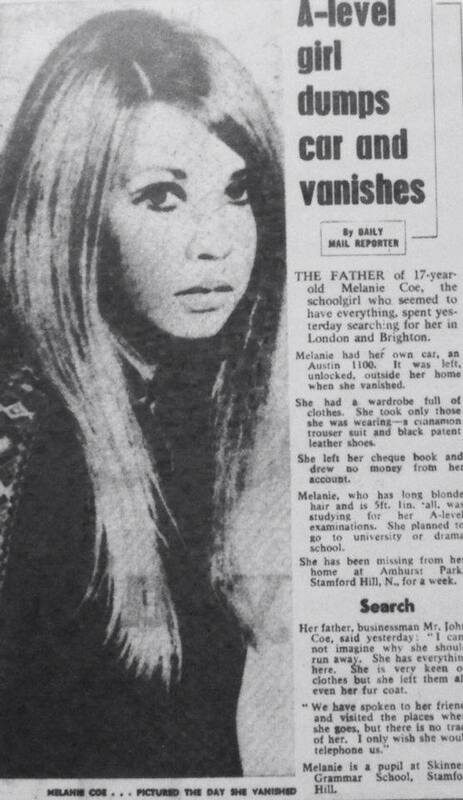 Melanie looked very different in 1967 than she did in 1963. And Melanie said that while filming Ready Steady Go, she had spent more time chatting with George and Ringo that day than with Paul or John. and "She's Leaving Home" was my mantra in June of 67, I left home and headed for the UK, and the rest, as they say, is history. Call me BeatleTripper, that was a really cool story. Thanks for blogging it.